Ready to go thrifting with me? Virtually speaking, of course. The benefit of these one-sided conversations is that you always say the correct thing. I like that about you. 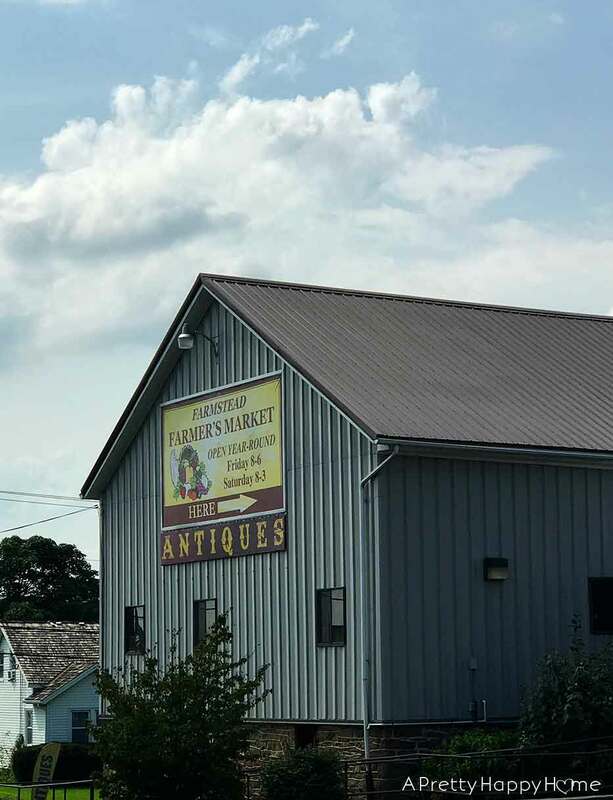 The kids and I were recently driving through Palmyra, Pennsylvania, and decided to stop at an antiques co-op called The Nest at Farmstead Farmers Market. Where’s your sense of shopping adventure, kids? If you and I were actually going thrifting together, I think there’d be far less whining. I like that about you too. Enough about my glamorous life. Let’s step inside. 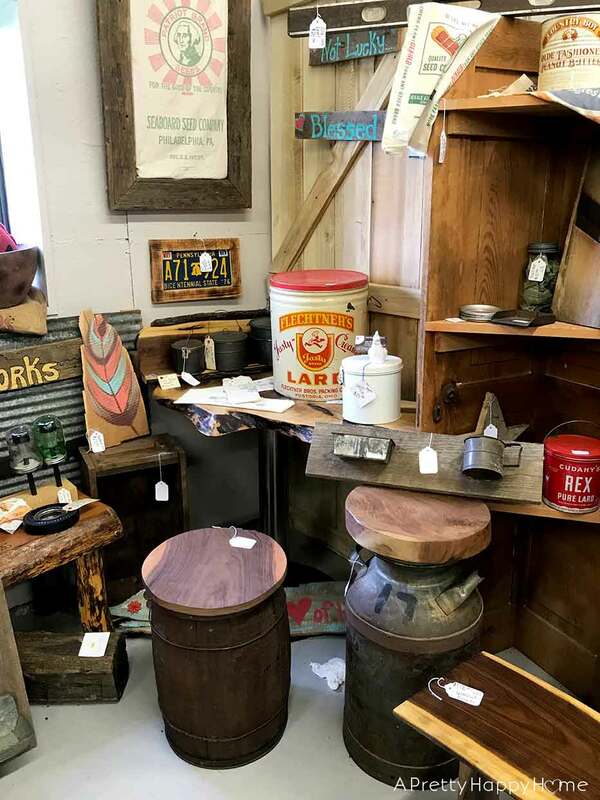 My eagle eye spied that most of the booths at The Nest had used or vintage merchandise, but some featured new farmhouse-style signs and decor. Best of all, enough vendors were selling candles that the place smelled quite nice. I see some interesting ideas in this next booth. However, I’m a little disturbed that folks used to buy lard in such large quantities. 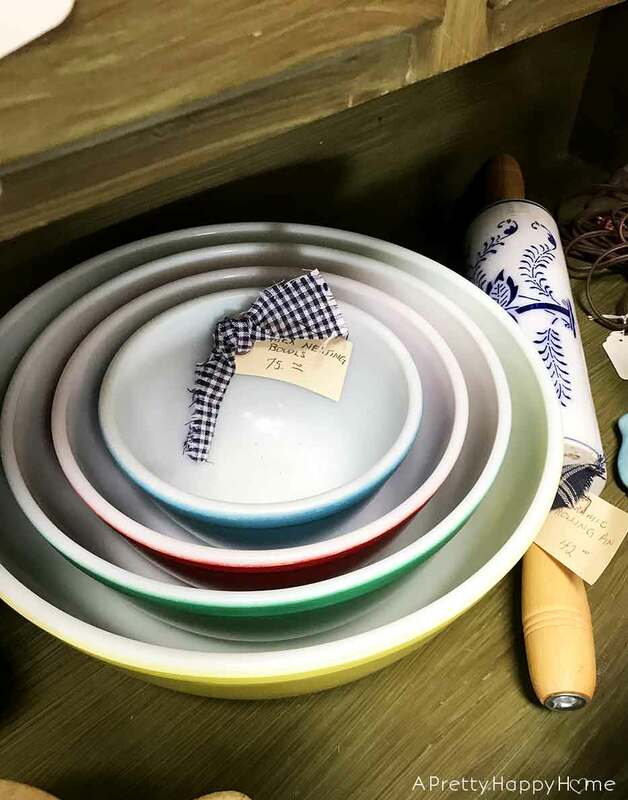 In one booth I spotted a set of Pyrex bowls exactly like a set I have. My set belonged to my grandmother and I now use the yellow bowl for mixing my Dave’s Killer Bread Copycat Recipe. If I’d known the set was worth $75 I might not have felt so sentimental about grandma’s bowls. 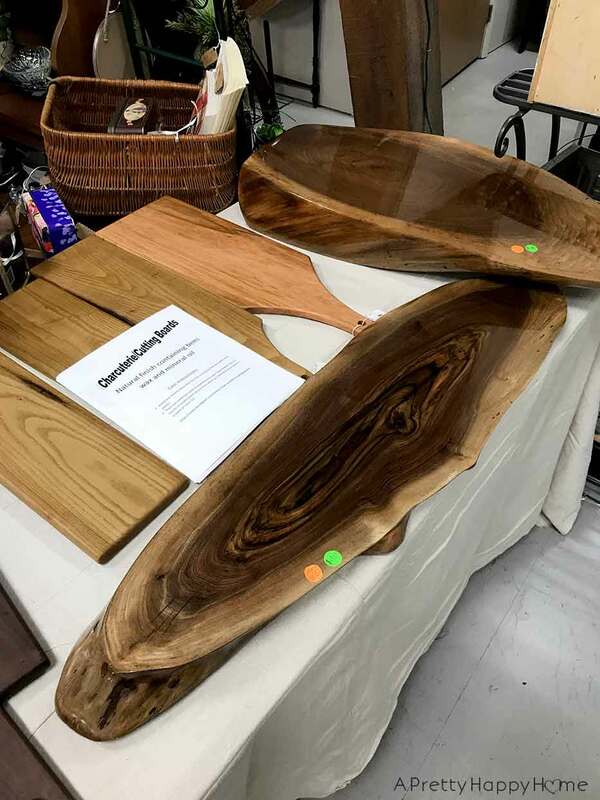 Since I recently wrote about a DIY live-edge coffee table, I thought these live-edge boards were interesting. They are made from walnut and the one on the bottom is $100 and the top one is $140. They look heavily lacquered to me, so I’m not sure if they are part of the food-safe charcuterie/cutting boards that sign mentions. Nothing in this next picture was peaking my interest, but my son did spy something he wanted. 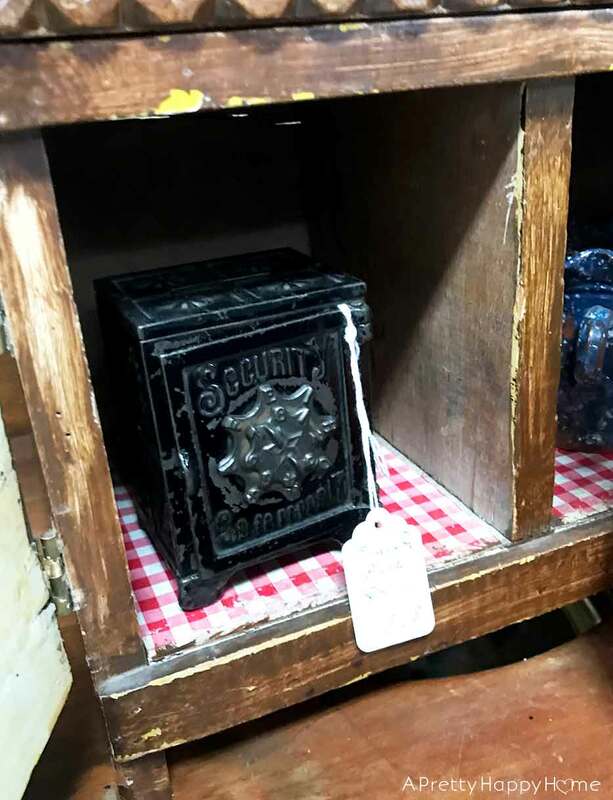 He wanted this mini-safe, but not enough to fork over his own $85 for it. I definitely wasn’t springing for it. The only thing I was tempted by at The Nest was a vintage metal sign in a light blue color. It was maybe 18×24 inches in size. You know what ruins temptation? Two hundred eighty dollars for a sign. And not even a giant sign. No thank you. At the end of our shopping trip, I decided this store had some neat treasures, but was too expensive for my bargain-hunting self. My kids, however, made out like happy little bandits because the storeowner gave them lollipops. They whined about stopping at The Nest at Farmstead Farmers Market and then received a lollipop. You see the problem here? I didn’t get a lollipop. 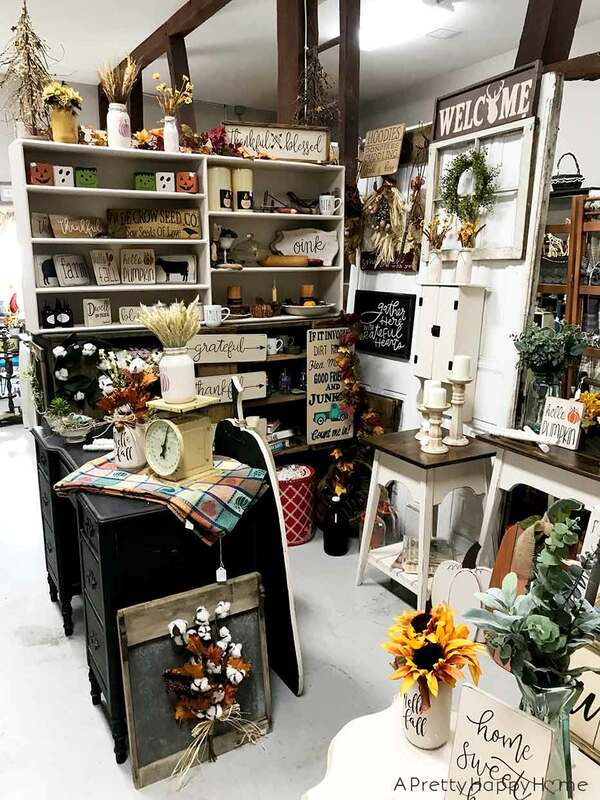 If you do stop at The Nest at Farmstead Farmers Market, there is a second building filled with actual farmer’s market type items: produce, eggs, baked goods, meat, etc. It’s definitely a fun place and mainly all indoors. All in all, if you are in the area, you should stop at The Nest. It will be well worth your time. There’s inspiration and treasures galore and it’s well-organized. Check their hours before you go though as they are not open daily. 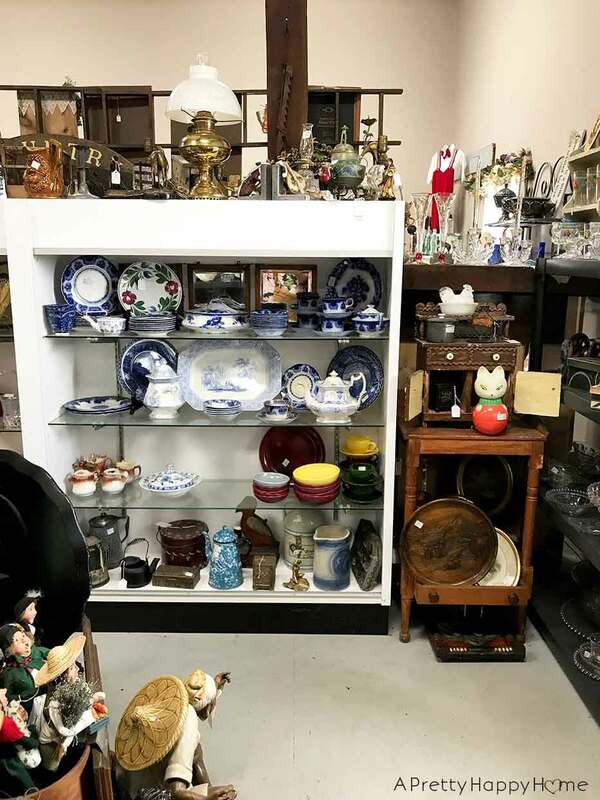 Here are some other thrifting-related posts you might enjoy. It looks like a fun place to visit. Isn’t it interesting how the call things we are using antiques and the prices they want. I love going to those stores and seeing things that I have and use and how much they want for them. If ever run out of money, I’ll know what to do with my “junk”. One person’s junk is another person’s treasure! Ha! But seriously…same here! I am not sure where you are located in Pennsylvania. When I was growing up in New Jersey in the 1960’s/70’s my parents used to let us play hookie from school one Friday a year, usually in the fall. We would pack into the car for the 3+ hour drive to Efrita, PA and the Green Dragon Amish Market. We were free to wander with a couple of dollars in our pocket to buy goodies. I remember shoofly pie, homemade birch beer, and footlong hotdogs. It was so much fun!!!! On the way home we would go to Vanity Fair’s Factory outlet in Reading for jeans, underwear, etc. back when it was not a factory outlet market but a true factory store on one of their production floors. The memories were well worth the day off from school. It sounds like you had awesome parents! Memories like that sure are precious!